Ukraine was prepared to pull back its units. 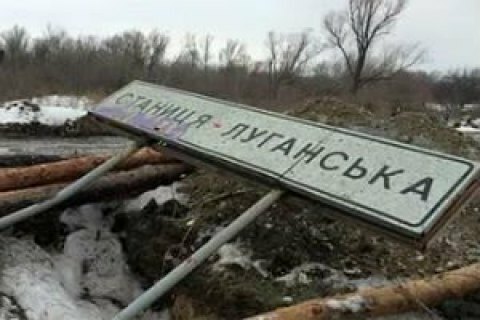 The disengagement of the antiterrorist operation forces and illegal armed formations near Stanytsya Luhanska in Luhansk Region was disrupted on 26 November again, the head of the Ukrainian part of the Joint Centre for Control and Coordination of Cease-fire, Borys Kremenetskyy, has said. He recalled that the trilateral contact group had had a preliminary agreement on disengagement in this sector on 26 November, but it was fired on again recently. The Minsk agreements require a cease-fire to hold for at least seven days before disengagement can take place. "There were three fire attacks on the sector with automatic grenade launchers, a 30-mm from the BMP-2 infantry fighting vehicle, an RPG and small arms," he said on the air of 112 Ukrayina TV on the morning of 27 November.